The Walking Dead is in its ninth season and doesn’t show any signs of being pulled off the air. It’s one of the most critically approved shows of all time after all. There are many reasons to love the show. But for gamers, Walking Dead video games are a reason to binge watch it. Below are some of the best Walking Dead Video games. Telltale first released this game in 2016. It didn’t take long to release more episodes and for the Walking Dead fans to love it. A New Frontier was released just before The Final Season. The game features Clementine as the main hero but is joined by a new character called Javier Garcia. Like other Telltale games, A New Frontier is a first-shooter game and it follows the life of Garcia as he tries to find his sister-in-law and her kids. The game focuses on both Garcia's past and present. In the present, he's faced with a new regime that wants to take control of the post-apocalyptic world. It also immerses Garcia into politics and his life as a family man. Clementine doesn’t have much of a bigger role in this game. But after acting as the lead in Telltale’s previous games, it was probably hard to cut her loose. The game’s visual style is impressive but character animation isn’t the best you can find. The gameplay is great and the storyline is captivating enough to keep you playing the game even after you complete your career mode. Season Two takes you through Clementine’s struggles as a young child. She’s watched too many people die. She has come face to face with zombies. And now, a fellow passenger has been bitten. She knows what should be done and she must do it to survive. With this Telltale game, you control how Clementine develops into teenagehood. She's constantly pushed around, she's stressed and may ask for your permission to try alcohol at times. For better or for worse, how you "raise" Clementine doesn't affect the game's storyline very much. A few people may die because of your choices but the end game is one: to survive. Gamers who love clear missions may find Season Two a little bit awkward. But once you understand that Clement has to live or die, you’ll love the game. It’s a story after all and considering all the facts surrounding it, you will probably be interested to follow it through. The Walking Dead is a series of games first released in 2012. The entire season was later released that year, with Nintendo obtaining the game as well. Unlike most zombie games, the Walking Dead paid more focus on characterization and emotions. The second season of the game was released in 2013 while the third season was released in 2014. The game’s storyline was concluded in its fourth season albeit with difficulties. Only two episodes were released in 2017 while the remaining two episodes came out March this year. After the Walking Dead’s struggles with finding a financier to help complete the fourth season, Overkill released a similar game. Both games were inspired by Robert Kirkman’s comic series and the TV show. However, Overkill established a different setting, with new characters and everything else. The game is a first shooter set in Washington and takes you through a journey of killing zombies. On the downside, Overkill’s game was treated to poor reception. A vague storyline, monotonous voice over and useless incentives forced most players to quit the game even before they could complete their career modes. It's not entirely a bad game though. 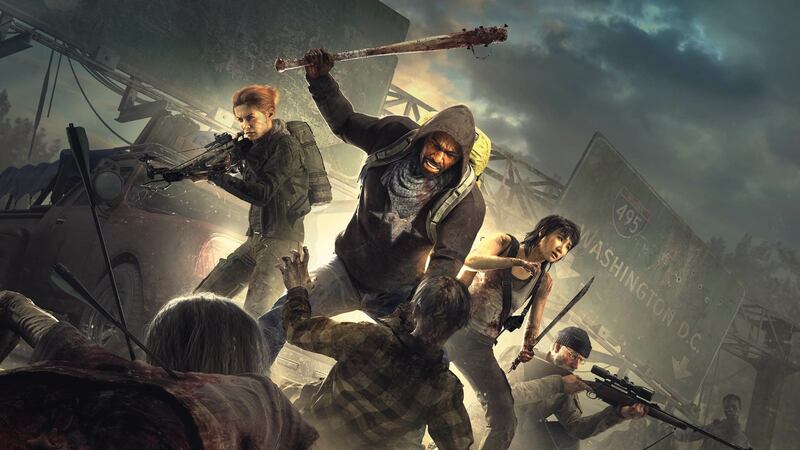 If you love killing zombies, Overkill's The Walking Dead gives you the weaponry and the crowds to do it. The game controls and mechanics feel difficult and backward but it keeps the Walking Dead Theme alive. This version of the game was made by Telltale Games and focuses on Clementine as she tries to raise Alvin Jr. in a post-apocalyptic world. It’s arguably the best-rated Walking Dead video game, with critics and fans praising its advanced mechanics and control features. Surprisingly, Telltale shut down in 2018 and laid off many of its employees. But thanks to the game’s popularity, The Final Season isn’t over yet. Skybound acquired the game’s title and promised to complete its episodes. Skybound released the final episodes of the game this March and it didn't disappoint. Each episode feels fresh, immersive and may bring out the emotional side of you. The storyline doesn't need much explaining. Watch the Walking Dead online, read the comic series or learn about it as you play, it’s the same riveting zombie post-apocalyptic story. Before the Final Season, Telltale released Michonne in 2016 as a standalone miniseries. It revolves around Michonne as she struggles to survive a zombie apocalypse. Like all other Telltale’s series of the critically acclaimed show, Michonne appeals to emotions with its ingenious narratives. Michonne constantly has flashbacks about her children and worries as to what happened to them. Her favorite weapon is a machete that she wields fiercely when she’s needed to do so. The game concludes after a slew of action-focused scenes, hostage negotiations and moments where you have to make split decisions. The game graphics are better than all other Telltale games before it. The blood, the environments and the characters look real. Everything is detailed, which helps immerse you into the gameplay effortlessly. Michonne is available in all gaming devices apart from android phones. Despite Telltale’s woes in 2018, it created the best video games inspired by The Walking Dead. If you love the TV show or the comic series, get hold of one or more of Telltale’s games. We would advise you to watch a few episodes of the shows before you adventure into the video games. But if you are already a fan of the show, find the games and enjoy. How To Stay Safe While Chatting Online?